If you visit us on a regular basis, you probably remember Amber telling you about her Backlot Film Camp. At the end of each camp she has the coolest premiere for the kids, where they get to watch the movies they have acted, directed, edited their selves on a big movie screen! The kids dress up in their fanciest clothes and just like a real movie premiere and there is even paparazzi there to take their pictures on the red carpet! Even if you have the most confident child, they get a little nervous about getting their pictures taken by strangers. 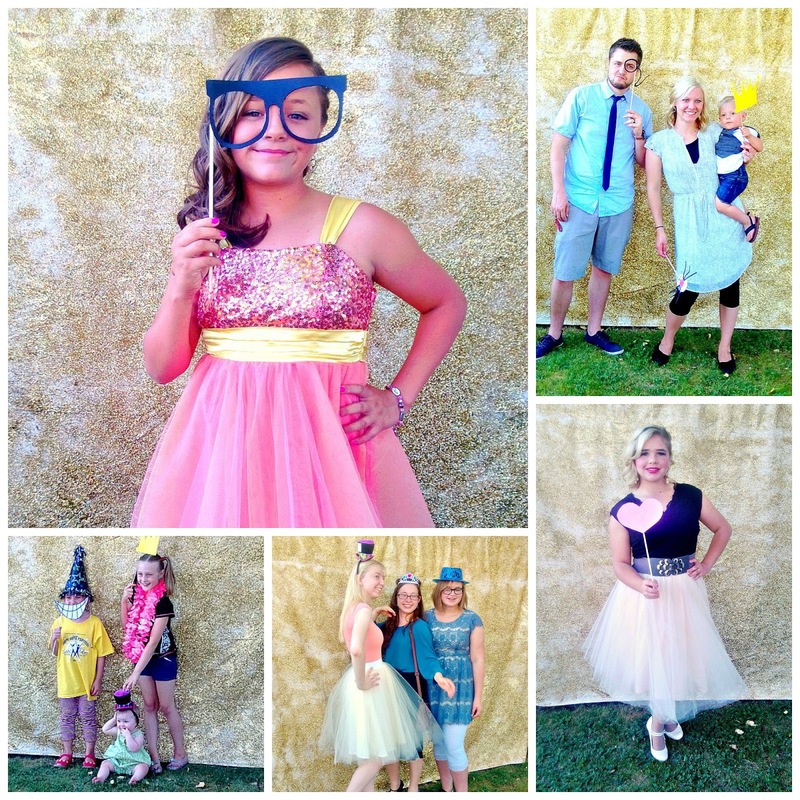 So this year, Amber decided to have a photo booth to the side, so the kids could warm up for the actual red carpet experience! I was in charge of the photo booth and the kids loved it! The props, we went to the Dollar Store and found tons of things we could use, and then we cut out shapes and glued them to dowels to give the pictures a finishing touch! You don’t have to be an artist to make the props. 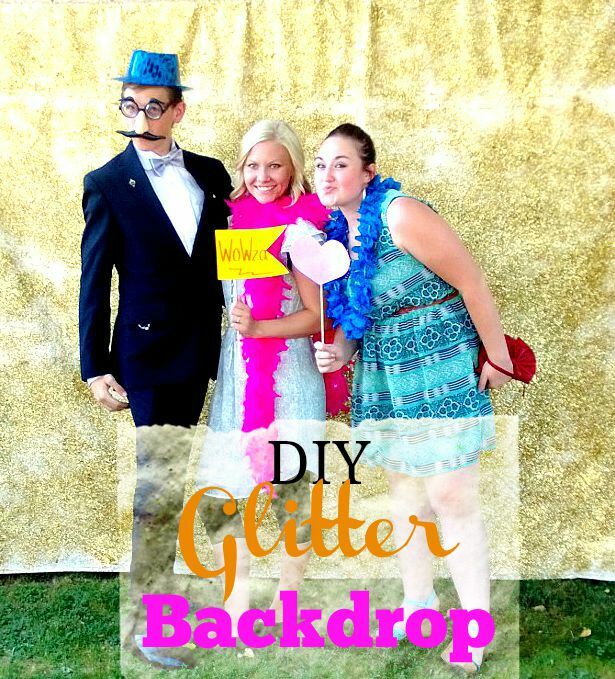 The backdrop is easy to make and would be perfect for photo booths or a backdrop for any party table! We decided to glitter it up, since it was a movie premiere. I was a little stressed because I didn’t think the glitter would stick like it did and worried it wouldn’t have enough “WOW” factor for the occasion, but it did! 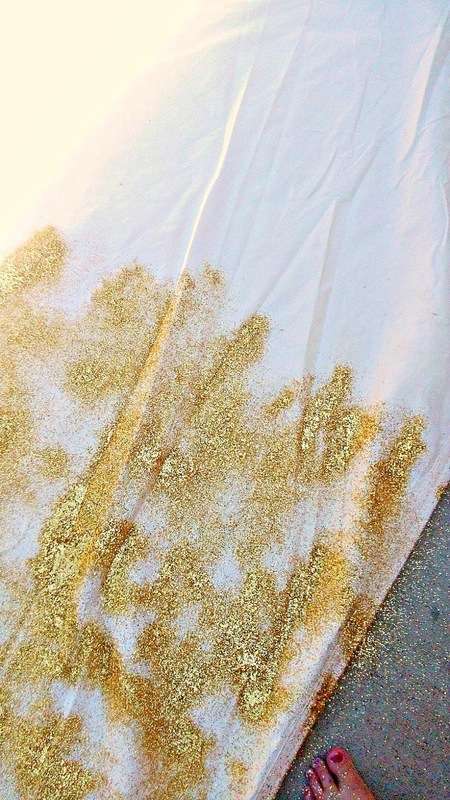 Glitter– depending on the size of drop cloth you have will determine how much glitter. They large bottles a Walmart and we used 3 to 4. Spray Adhesive- We used 3 cans. Glue for Glitter claims to be the best. Lay out the drop cloth on a flat surface, we laid it on our patio, coat the fabric with a generous layer of spray adhesive. Scatter the glitter all over the drop cloth, making sure it is evenly distributed throughout the entire surface, but it’s a large drop cloth, you might have to cover a couple of times to make it even. We did it in sections. Spray the entire fabric with another generous coat of the adhesive to ensure the glitter is stuck to the cloth. Let dry. We had a frame that we used to make our backdrop but you could tape it to a wall or even use zip ties to attach it to a frame. 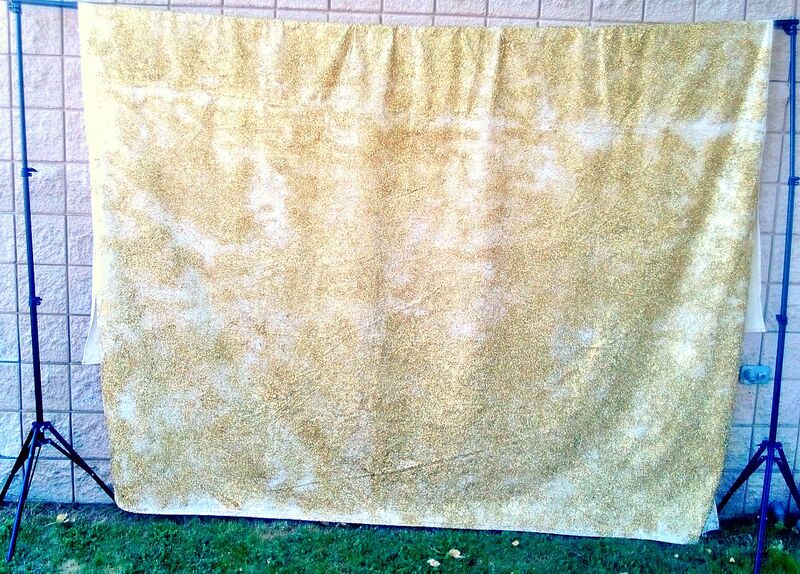 There you have it a drop cloth perfect for any party or special occasion. Take a minute and check out the Red Carpet Premiere! I LOVE LOVE LOVE this!!!! Nothing beats glitter! This is fabulous! I can't wait to feature at tomorrow's Share Your Style party! !